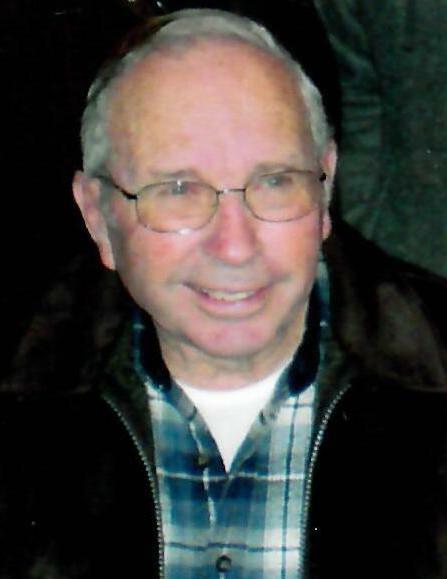 Age 82, of Vandalia, formerly of Phillipsburg, passed away at his home on Tuesday, January 29, 2019 following an extended illness. The family wishes to express their thanks for the loving care Richard received from Hospice of Dayton. He was preceded in death by an infant daughter, by his parents and a sister. He was a self-employed excavator and carpenter and he also built homes. He enjoyed being a member of Phillipsburg Missionary Church and volunteering for multiple Christian organizations. Richard is survived by his wife of 64 years, Beverly; son, Ken (Colleen) Ditmer; daughter, LaDonna (Tim) Bowman; grandchildren, Maria (Ryan) Voegle, Tonya (Doug) Nelson, Clint (Allison) Ditmer, Cole (Samantha) Ditmer, Careen (Branden) Armstrong; 10 great-grandchildren; brother, Gene (Jenny) Ditmer; foster son, Greg (Vicki) Powell & his family and numerous other relatives and friends. Funeral services will be held 1:30 PM Mon., Feb. 4 at the GILBERT-FELLERS FUNERAL HOME, 950 ALBERT RD., BROOKVILLE, with burial to follow in Bethel Cemetery near Phillipsburg. Visitation will be held 2-4 PM Sun., Feb. 3 at the funeral home. If desired, the family suggests donations to Hospice of Dayton. He left a legacy of his love for Jesus, family and hard work. He was always available to help out family and friends any way he could. E-mail condolences may be sent by going online to www.gilbert-fellers.com.